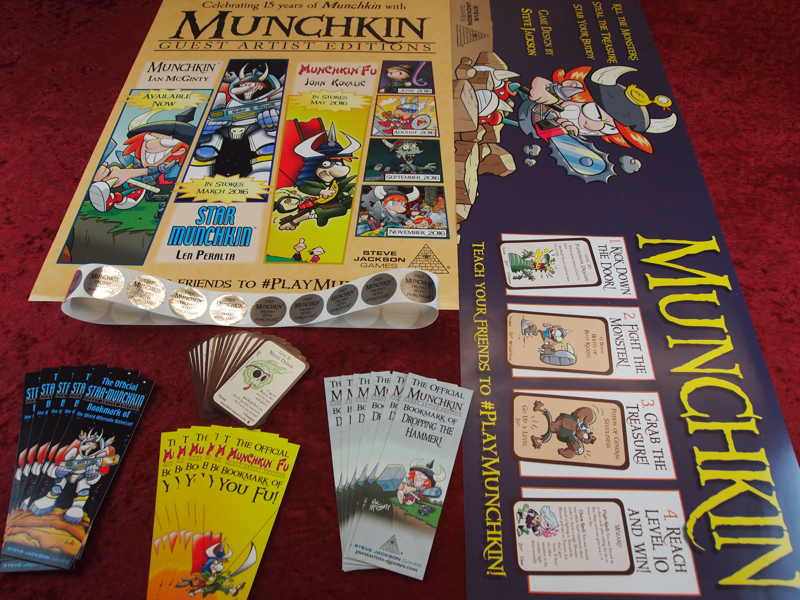 Daily Illuminator: Munchkin Guest Artist Edition Event Locations! February 8, 2016: Munchkin Guest Artist Edition Event Locations! We've had an amazing response to our Munchkin Guest Artist Edition promo kits, and many retailers are using them to celebrate the release of our first Guest Artist Editions! On Saturday, February 20th, the following game and hobby stores are hosting Munchkin Guest Artist Edition events, where you can come play Munchkin, and get sweet promos like the Nexus Demon card and bookmarks! We'll also be doing our own launch party at Wonko's Toys and Games in Austin, TX, which will be streaming on our Twitch channel. If your Friendly Local Game Store isn't listed, contact them and let them know they can still order a promo kit! Retailers can contact joshua@sjgames.com to request a kit. See you on Saturday the 20th!